If you're looking for siding in Sugar City, Doug’s Construction and Repair offers high-quality services at affordable prices that you can rely on--no gimmicks, hidden charges, or surprise fees. Our professional team of experts is fully licensed and experienced, with the tools you need to give you the best installation and repair work for your money. And with a wide variety of siding options, it's easy to find the right siding for your housing situation. Siding done on a house in Sugar City. Typically we come out to measure and talk over options including choosing colors. We take your feedback and draw up an estimate. At Doug's Construction and Repair, we offer some of the best siding repair and installation services in the area. If you've got a specific plan in mind, let us know and we'll get right down to business. And if you're not quite sure what you're looking for, we'll be happy to help you choose the best option for you. Need Siding in Sugar City? If you're ready to get started, call us today to see how we can furnish your house with the siding of your dreams. Our prices start at $2,000 and can vary according to the job, but we offer options to make financing a little easier. Call us today to get started with your initial consultation. With services like this, you'll be glad you chose Doug's Construction and Repair. When most people look for siding installation or repair services, the cost is one of their first priorities. At Doug's Construction and Repair, we make financing simple so you can take care of the payment an get back to what's really important. Our application is simple and straightforward, with no hidden charges or fees. We also offer same-day funding for those who want to get started as soon as possible. Did you get a lower bid from one of our competitors? 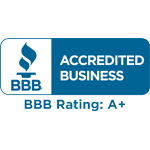 We'll match the bid to ensure that you get the best deal in the business. Sound appealing? Get in touch with us today and let us know how we can fix your siding problem. Our installation process moves quickly, ranging from a few days to a few weeks. We'll also talk with you throughout the process, getting your feedback and making sure that we perform to your specifications.